Kent J Diamond, father, grandfather, great-grandfather, brother, uncle, and friend died on July 12, 2018 at the age of 83. Kent was born in Provo, Utah on August 21, 1934 to James Edwin and Elizabeth Sellers Diamond. Kent loved woodworking, singing, and enjoyed hunting and fishing. 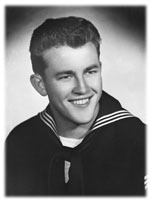 Kent joined the Navy when he was 17 and served in the Korean Ward. He was married and sealed to Nancy Eiko Koizumi, in the Los Angeles Temple in November 1956. Kent and Nancy lived several times in California, Virginia, Hawaii, Utah, and Japan. Kent was a member of the Church of Jesus Christ of Latter-day Saints, serving as bishop in Virginia, Hawaii, and California, and mission president in Nagoya Japan. He is survived by siblings Sterling Diamond, June Burrows, and Connie Valdez. Kent was preceded in death by his parents, James and Elizabeth Diamond; and sister Beth Wilson. Funeral services will be held in honor of Kent on Tuesday, July 17, 2018 at 11:00 am at the LDS chapel on 10351 Bayhill Drive, Cedar Hills, Utah. Family and friends are invited to attend a viewing from 9:30 – 10:45 am, prior to services. Interment will be in the Provo City Cemetery with military honors conducted by the American Legion Post 72. Condolences may be sent to the family at www.olpinmortuary.com. The family would like to offer heartfelt thanks to the Mervyn Sharp Bennion Central Utah Veterans Home in Payson, Utah for the care, respect, and kindness shown to Kent.